One Memoir is an ethical fashion label, determined to create a sustainable solution to the future of fashion by upcycling preloved garments and turning them into unique, collector’s items. 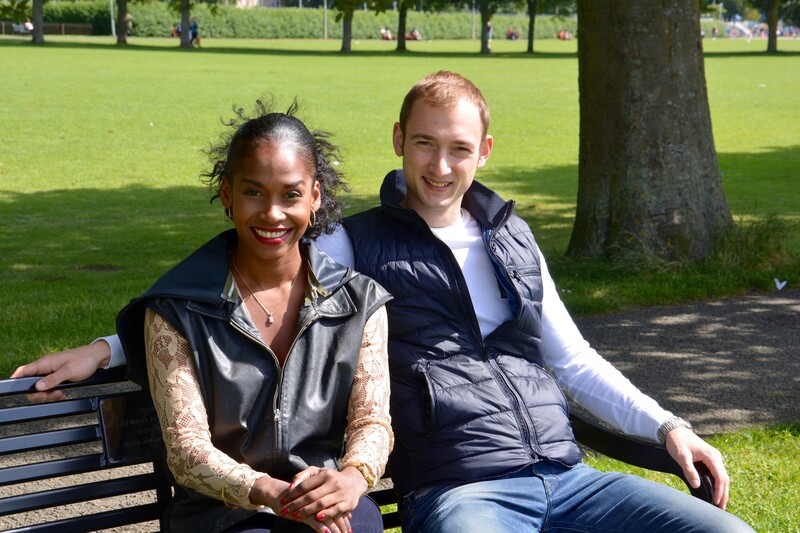 Justus: One Memoir is founded by us, Shelly and myself, two graduates from the University of Edinburgh, Business School. Shelly and I share a passion for sustainability. Even though we are from opposite parts of the world, and have different professional backgrounds, with Shelly being an Attorney in Trinidad and Tobago and my own Business and Finance background we bonded fast on our interest for sustainability. During our M.Sc degree we took an Entrepreneurship Course together and were tasked with creating a viable business venture. We came up with One Memoir which, at the time, was just a couple of ideas on some pages. 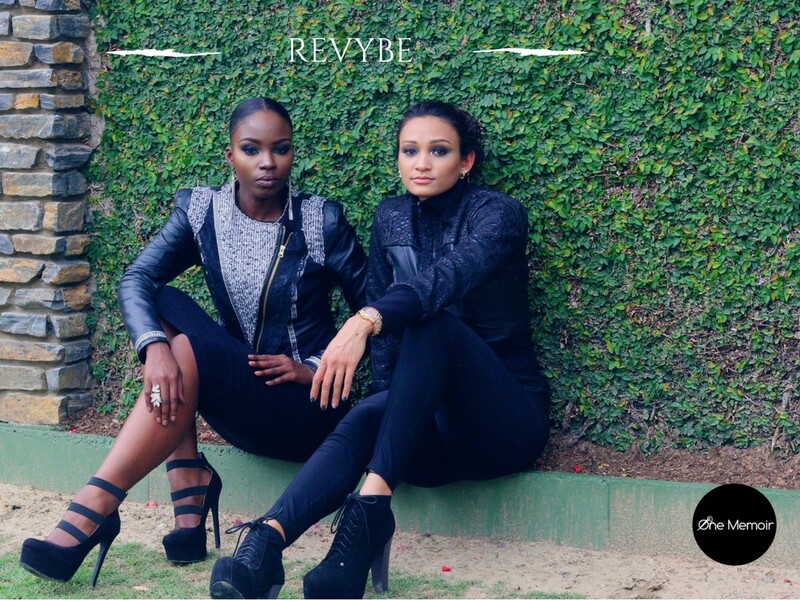 However six months later we turned our dream into a reality and One Memoir was successfully launched as a sustainable fashion company which seeks to turn the fashion industry on its head. We upcycle preloved clothes to revive them into something entirely new and beautiful. Each piece that we create tells it’s own story and offers consumers something unique, individualistic and sustainable. Where did your interest for producing ethical clothing come from? Justus: I remember it well, it feels just like yesterday, around November 2015, at the time there was a lot of press coverage concerned with the global footprint of fast fashion. Whilst the generic information about fast fashion seemed like a distant abstract issue, I was shocked to find out that our fast fashion is disabling young talented people to live their passion for fashion in many developing countries. The short lifecycle of fast fashion driven by poor working conditions and to satisfy our urge to find a personal style in a myriad of cheap look alike clothes which follow one trend after the other – all lead to an insane amount of waste every year (around 350 000 tons in the UK alone per year). Shelly and I had a discussion about this and wanted to give people something different; something sustainable yet trendy. As students, we looked in our wardrobes and saw the amount of unwanted clothing we had, and the burden that organisations such as charities had with large volumes of unwanted clothes. We wanted to persuade people to value their clothes more and think about upcycling as an option. We first needed to accept that many people ultimately throw away their clothes when they don’t want it but, we set out to challenge people by asking the question do we REALLY need to throw it away? Why is sustainable fashion so important to you? Shelly: Ethical and sustainable fashion is important for us because clothing is something we need. We wear it every day and unfortunately, most times, we consume it quite quickly. There is so much wastage happening amongst the things we need, such as food, water and even housing or the use of land. It is also happening with our clothes. So as the wastage of food and water can be destructive to our health, textile waste can also be destructive to the environment and people. The only difference is that we are far removed from the dumps so we don’t witness the mass destruction our fast consumption causes but, all it takes is a YouTube search of ‘textile waste’ or a look at the documentary ‘True Cost’ to see the bigger picture and to understand what our choices are doing to our environment. The more we educate people about ‘far removed’ issues, is the more we make them realise that our own actions make us the biggest contributors of a polluted environment for generations to come. We need a cleaner environment and it must start with educating and, why not through fashion. Shelly: One Memoir, takes inspiration from the designers and the preloved garment itself. We are a brand that does not strictly follow the catwalks as we believe that fashion can have many different interpretations. Our joy comes from seeing an outdated jacket upcyled into contemporary looks, made more easy to wear and can be cherished as a statement piece. Our designers are the people that really brings our story, or memoir, together and the transformation process from old to new is our biggest inspiration. 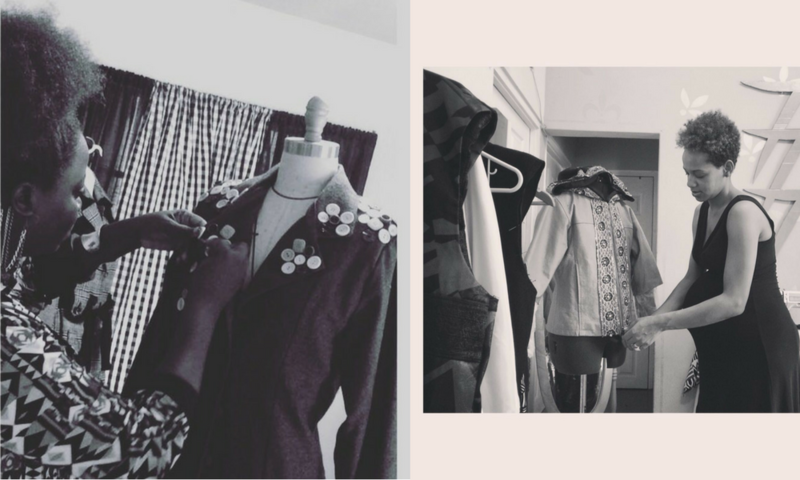 Saving that one jacket from the dumpster and witnessing our featured designers enjoying the process is an irreplaceable feeling for Justus and I. It inspires us to continue with our brand and the small positive footprints we intend to leave behind. What changes would you like to see within the fashion industry 5 years from now? Justus: We want to break the wall between the designers and us, the consumers, to tackle poor working conditions and environmental repercussions by showcasing our talented designers in their creative element. If brands start creating awareness and transparency in their production process we would have more informed consumers. Overall we’d like to see more consumers questioning who made their clothes and more businesses not just saying that they are sustainable but doing the actions to really prove that they mean it. Shelly: The pieces in our current collection range from women’s jackets to coats. 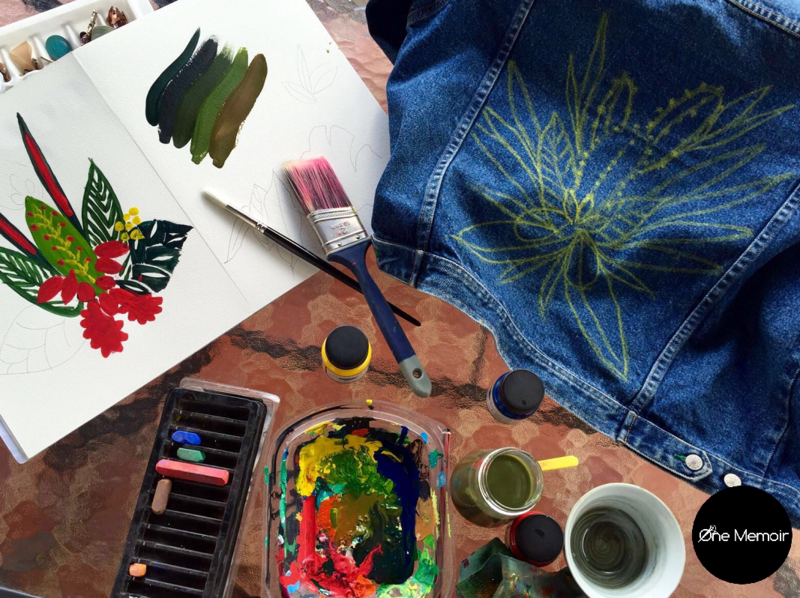 We worked with four designers from the Trinidad and Tobago and they each put their own creativity to the upcycling process. We wanted a collection that was representative, gave different emotions and can appeal to various people. It was important for us to demonstrate in our collection that any woman can be a One Memoir woman, she did not have to fit into a particular aesthetic category. To illustrate the representativeness of our collection, our pieces were also nicknamed by cities. 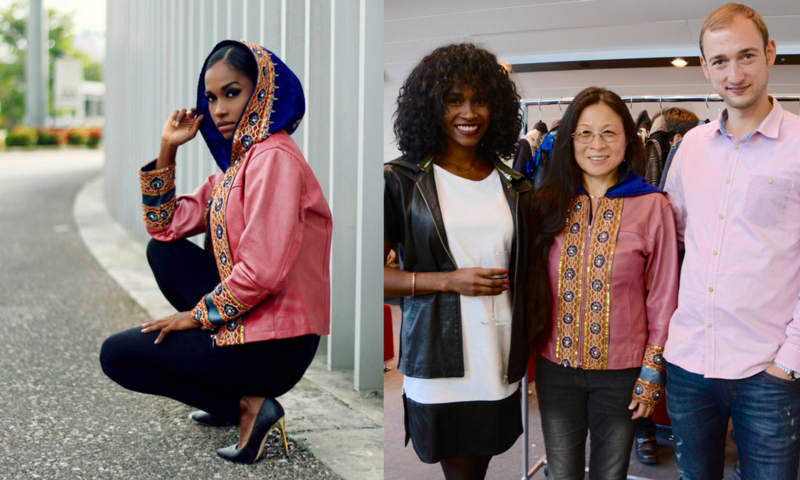 So for instance one of our pieces, which was heavily used for the promotion of our launch, we named Delhi because the designer was influenced by Indian culture so the jacket had a lot of Indian embellishments with a traditional Indian hood. What was great about this, is that this particular piece was actually purchased by a Chinese consumer and this is what we love to see; that representativeness and that identification with our pieces. which can be hard to find in mainstream fashion. What’s next for One Memoir? Currently, One Memoir is self funded but we are exploring our funding options since our first collection has gotten great feedback. We’d love for One Memoir to commercially grow each year and we have just started the planning for our second collection with Scottish designers for 2017. Although we are two people our pace has been steady and we want our sustainable community to grow with us. We’d like to secure more collaborations with creatives and brands that share our ethos and we look forward to welcoming fast fashion consumers to upcycling as well. We are convinced that offering a sustainable alternative can be a viable alternative for us all and so, we aim to disrupt the current wasteful and non transparent practices we see in the industry. We hope to be the leader in upcycled fashion and the brand consumers turn to when they want to make an ethical fashion purchase. One Memoir’s current range can be purchased via their website. Follow them on Facebook, Twitter and Instagram for latest news and updates.